January 16, 2012 .Reading time 6 minutes. Since I was so busy during the holidays, I didn’t really get to write anything about them as they were happening, but now that I have a bit more time/energy, there are a few interesting moments I’d like to reminisce about. The Eve of Christmas, I happened eat dinner in an Indian restaurant with a large group of people––mostly Americans, so yes, we were pretty loud. 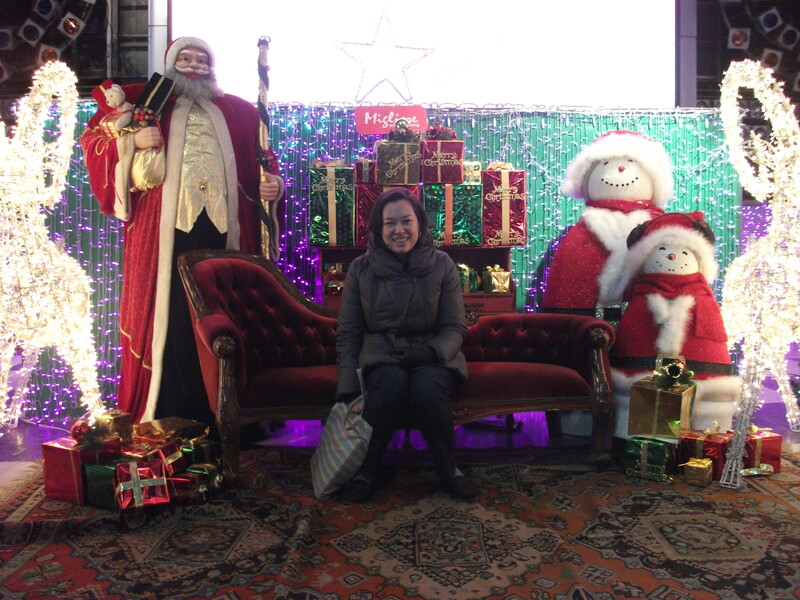 In Korea, Christmas is basically a couples holiday. People don’t spend time with their families, they go out on dates. So basically everyone else in the restaurant was trying to have a romantic dinner. And there we were, right in the middle of the small room, single-handedly bringing the volume of the dimly lit place up to the level of a classroom of third-graders. Then, to top it all off, just as the guy sitting across from me said, “Man, it really doesn’t feel like Christmas Eve,” Santa arrived! A short, jolly Santa Claus decked out in a full red and white suit, red and white hat, and sunglasses started pulling out little toffees from a huge bag and silently handing them out to everyone. At first I was genuinely confused about who this dude was. Was it some random person off the street? Should I be wary about eating these toffees? But when he said “Merry Christmas” with an Indian accent, I realized he worked at the restaurant. (The guy sitting across from me could not stop laughing.) Then he took off his sunglasses to snap a photo of my table for us and he ceased to be so mysterious. Made for a strangely memorable Christmas Eve moment. It was a little strange to me, though, to leave church for a few hours before the banquet and find the rest of Seoul operating like normal. I stopped by a department store with some friends (and actually bought a shirt for myself), and it seriously could have been any other day––people were just shopping and working like normal. So weird. I usually celebrate New Year’s with a group of girlfriends I grew up with at my church back home, but this year, I was in Taiwan, so it was a bit different. As far as I can tell, New Year’s celebrations are pretty similar all around the world––in Taipei, there was no ball drop, but there were hours of musical performances followed by a spectacular fireworks display. My personal experience of the holiday, however, was very different than the norm. First of all, I didn’t have a drop of alcohol. And I actually didn’t even think about that until me and my friends were making our way home and started running into drunk people in the street. I’m not a big drinker (obviously), but usually a few homemade cocktails made by childhood friends are part of welcoming in the new year, so that was a bit different. Second, I have never celebrated outside before––usually I just watch the outdoor celebration on TV (on mute) while playing games/talking in a nicely heated house. It was fun being outside for once, though, especially because me and my friends weren’t in the main square where we would have had to stand all night (and where our ears would have been completely blasted out, rather than only mildly traumatized). We had seats, good views of the screen, and plenty of street food nearby. The funniest moment of the night was when we passed three random people lying in the middle of the street on the way home (literally lounging on a crosswalk of what is normally a heavily trafficked street, but had been turned into a pedestrian street for the evening) and my friend convinced me that we should do the same. But yes, we lay in the middle of the street and took photographic evidence. And doing something so utterly ridiculous was pretty fun. I’d been wondering how your first major holidays were spent! Loved the story of the santa. Too funny.